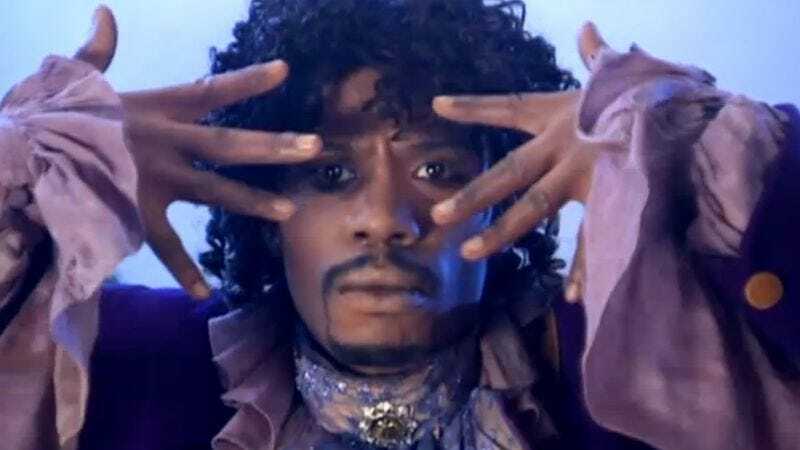 Chappelle’s Show featured tons of great sketches over the years, but the most memorable ones are still probably “Charlie Murphy’s True Hollywood Stories.” The segments involved Chappelle reenacting stories told by Charlie Murphy about interactions he and his more-famous brother had with celebrities, specifically Rick James and Prince. The Rick James installment was about his terrifying unpredictability, touching on his fondness for randomly slapping people in the face or barging into their homes and grinding his dirty shoes on their couch, and it included James himself popping in and simultaneously denying and confirming the veracity of the story. The Prince segment, though, didn’t feature any input from the late icon, making the truth behind its absurdly one-sided basketball game a little harder to discern. The kicker to the story, with Prince inviting the Murphy brothers over for pancakes after destroying them on the court, is also true, though Free points out that they were specifically blueberry pancakes.